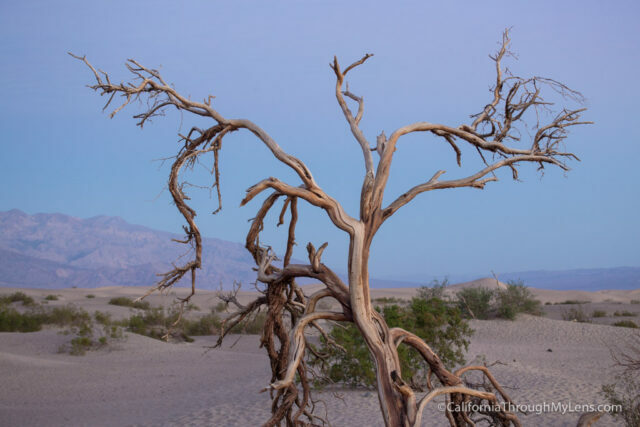 Death Valley National Park is a variable playground for the landscape photographer. 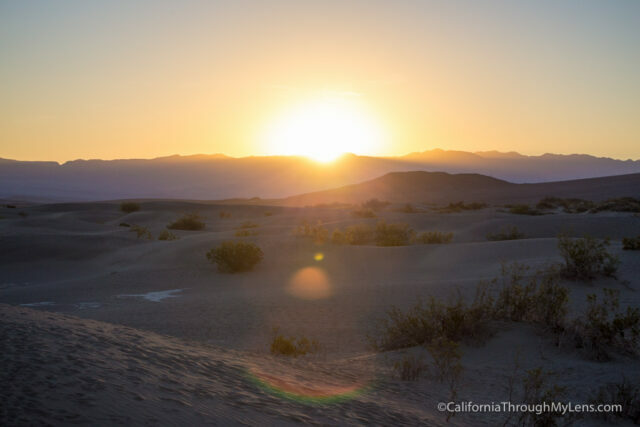 Both Zabriskie Point and Dante’s View are absolutely spectacular for sunset and while they are good for sunrise as well, the light is coming from behind you so it is not as epic. Enter the Mesquite Dunes as one of my favorite places for sunrise in the park, here is all the information so you can check it out yourself. 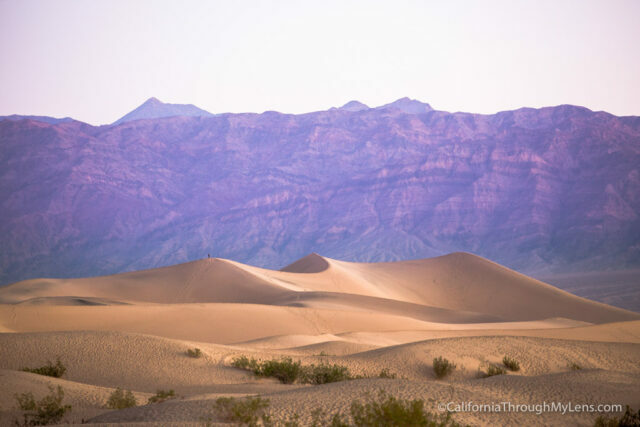 If you are staying in Stovepipe Wells, then the Mesquite Dunes are pretty much right in your backyard. 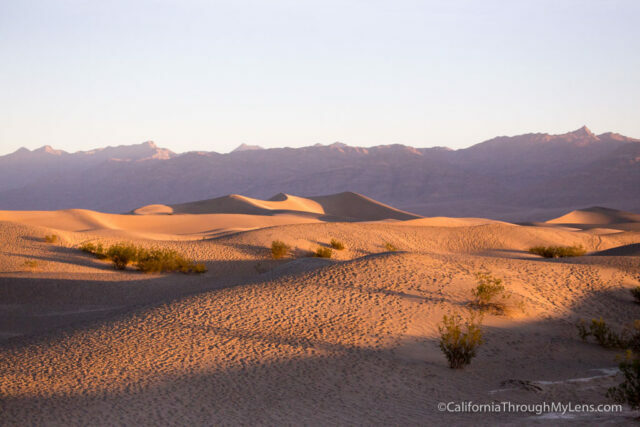 If you are staying in Furnace Creek though, then you will need to drive about 30 minutes North to get to the dunes. They are pretty hard to miss, you just stay on the main road through the park and don’t take the offshoot to Scotty’s Castle. 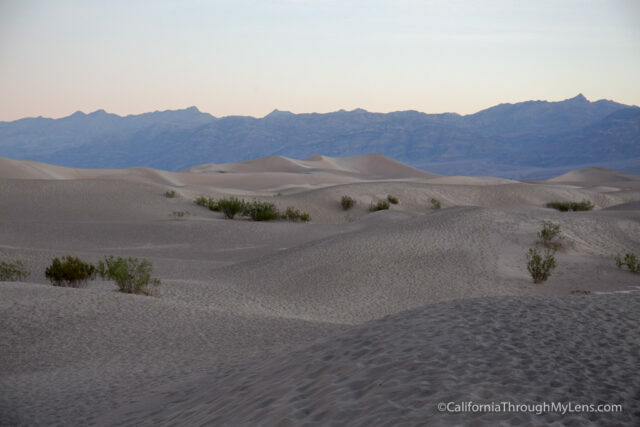 There is a large parking lot for the dunes, and it shouldn’t be full before sunrise. Once you make it to the dunes, you can pretty much explore however much you want. The walk out to the top of the main dune is about 2 miles round trip, but it is not an easy two miles as you have to walk up in the sand which is no fun. If usually just walk out about 100 yards or so from the parking lot and try to find a good spot to look at the primary dune from. I find that the view from in front of it with the sunrise adding a warm glow is better than being on top of it and looking down. There are usually a good amount of people out there, but it’s such a massive area with so many dunes that it is not hard to find a spot by yourself. The early morning light often adds some purples and blues to the sky which is great for getting set up and finding a good shot. Then when the light comes over the mountain, you will see the mountain range to your left start glowing first. 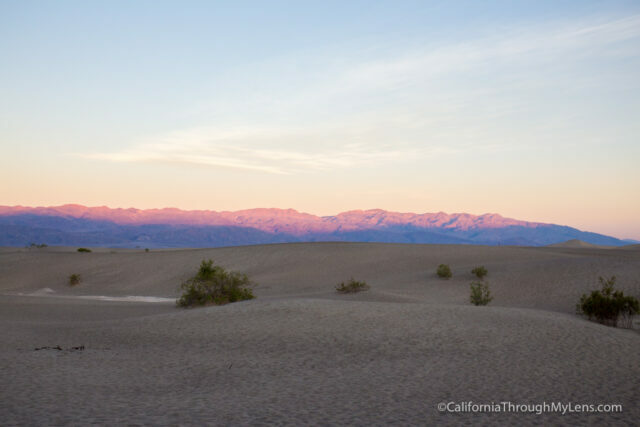 Eventually, as the light crests the hill, the Mesquite dunes in front of you will start putting on a show. 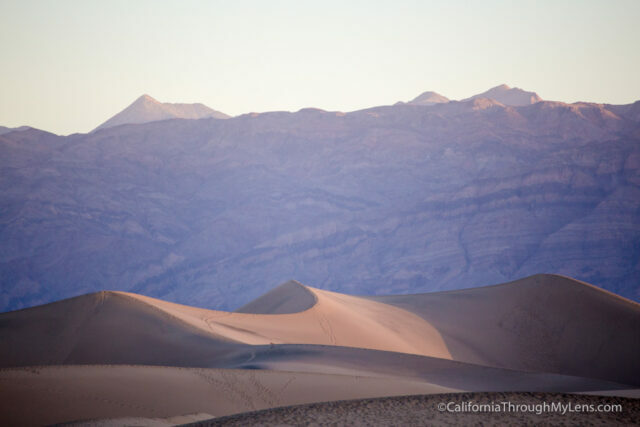 The warm morning light is just spectacular here, and the way it bounces off the dunes never ceases to amaze me. After watching the sun fully come up, I got back in the car and headed to the next spot. 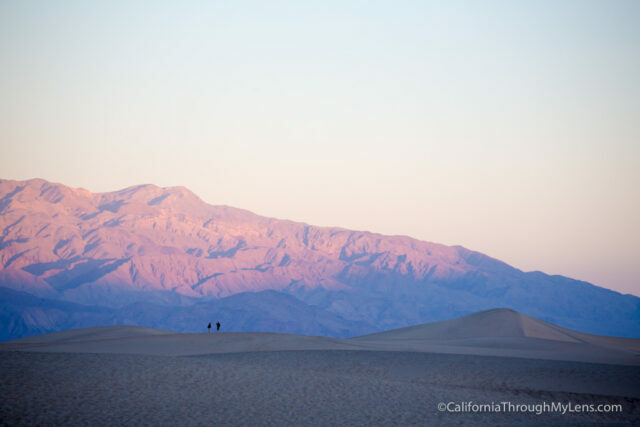 Read about my 24 hours in Death Valley here. 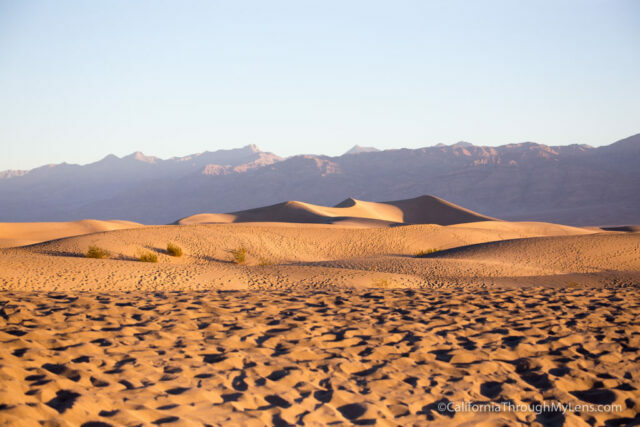 If you are looking for the best place for sunrise in the park though, then be sure to check out the Mesquite Dunes.